Get to know our staff in this Lifestyle Series! Question 1: What is your backup process? Not sure where to start with your IT infrastructure? Simplicity – with no hardware or hypervisor to manage, you’re free to focus on the software applications that earn revenue for your business. Our dedicated and multi-tenant managed private clouds provide peace of mind and free your IT resources. 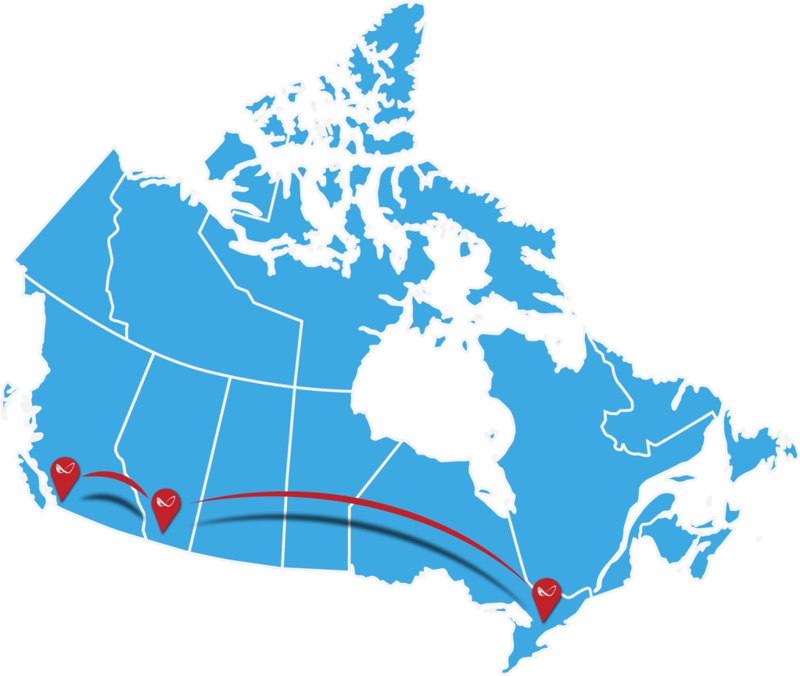 Multiple sites across Canada provide geographic redundancy and the ability to offer local servcies to Canadian Companies. Industry leading Service Level Agreements (SLAs) let you focus on managing your business while we look after your data center operations. Whipcord has data centres across Canada. Find one that meets your needs. Scale infrastructure, save on capital expenses, and implement a reliable disaster recovery plan that solve your critical business problems. One of the founding principles of our business is delivering a high-touch service that is unmatched by major providers. Whipcord has built a loyal clientele base, as reflected by our annual Customer Satisfaction score of 96% or higher.